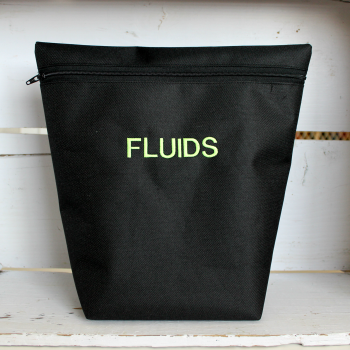 This listing is for ONE (1) individual made-to-order Fluids cargo bag. To purchase a full set, select each bag you would like and add each one to your cart. Our cargo bags are hand-made and embroidered in the USA by Disabled Veterans using PVC-lined polyester canvas. Rain Gear bags are made from breathable cotton canvas to prevent mold. Our cargo bags are water resistant (the bags are waterproof, but the zipper is not) and are washable, durable, and expertly crafted to your requirements. 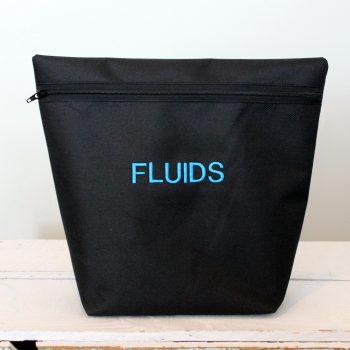 This bag fits 1 qt oil, 1 qt differential fluid, and 1 bottle of water.